First, welcome to disneymooners and we are so glad you found us. Have fun looking around. I have 34 BRIDES AND GROOM REQUESTS TO JOIN THE PRIVATE FORUMS!!!!!!!! ALL 34 HAVE 0-2 POSTS. Some have been sitting there for months. I'm not sure if they have lost interest. I need all current brides and grooms to get the needed 5 posts by end of this week. On friday Im deleting all requests that don't have any posts. I know for some it seems silly to have 5 posts, but I just denied 3 requests that were obviously spammers trying to gain access to your private area. So it's out of care and concern for our couples and their privacy that we placed these rules here. And Boo Hiss on those Troll Spammers!!!! I better get busy then ! I think this will be number two! I really am looking forward to learning all that I can to help me plan my Disney wedding! I believe I have my 5 posts/replies... this make six. And I have requested to join the Private forums... when should I hear something? Thanks! Am I in yet ? I have requested and have enough posts..
New bride here! Just joined the forum, and our date was confirmed this past week! Can't wait to start planning! We are finally done with the contract etc with an Escape wedding package. Just looking for ideas to add to it. Really should have done wishes, when all said and done, but ran out of time. I'm still waiting too ! I'm still waiting as well. I need to get started at reading the reviews for these videographers. I think this is a common thing. Just keep on exploring and post at least 5 times and you will be okay! yes its best to do it that way. I often look over the ones with not enough and they get lost in the sea of requests with 0. thanks! I think this is my 5th post! Off to apply! Never mind i have figured it out. HI I am hew here and I am having a great deal of issues with knowing how to do anything on the site besides read things. I so want to do more and I just saw the part of posting five times but i have never even seen my first post. So I do not know if I am even posting anything. Smiles not so smiley. Oops, going about this backwards myself. Post than request, got it. You won't need to resubmit. PSS715 just needs to approve them. I have made 16 post please approve me. can change a girls life. Hi I'm posting to be able to join the Private messages! How long does it take before we are accepted to join the private sections of the forum? Can't wait to be accepted. I could use all the help I can get! I am at the very beginning stages of planning! New Disney Bride here...Post #1. Our Destination is Walt Disney World in Orlando, FL. Next March 2017. 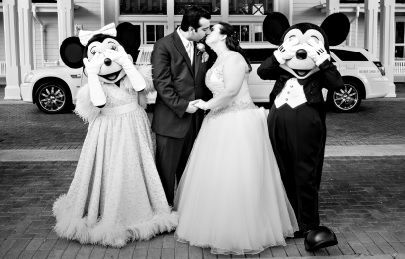 Most likely a wishes wedding, I am still waiting to hear back from Disney with a wedding planner. Looking at the Disney Escape Wedding package. Hi everyone! So excited to be sharing all the fun of planning for our escape wedding at Sea Breeze Point 12/8/16.